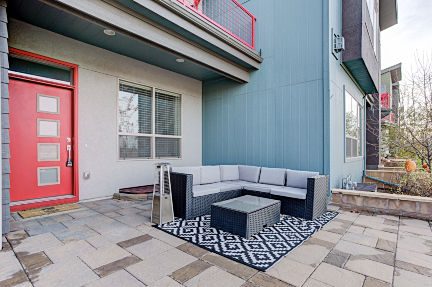 Formerly the home of Stapleton International Airport, the vibrant Stapleton community is located 15 minutes NE of Denver with convenient access to I-70, The Shops at Northfield, and DIA. IT contains 9 neighborhoods, multiple school options, 50 parks and multiple retail and dining centers. The growing residential population enjoys a wide range of home-buying options from contemporary town homes to Mediterranean-inspired single family residences.